The MLB All-Star Game will be played tonight in Minneapolis. Here’s a few items to get you ready for the game. TRIPLE PLAY: All-Star Game home runs. One subject… Three questions… Can you answer the three questions correctly and complete the TRIPLE PLAY? There have been 178 home runs hit in the history of the MLB All-Star Game. Babe Ruth hit the first in 1933; Melky Cabrera’ s HR last season was number 178. 1. There has been only one grand slam in All-Star Game history. Can you name the player who hit this grand slam in 1983’s contest? 2. There have been 10 players who hit three or more home runs in All-Star Games. Three of those players had four or more career HRs in the All-Star Game. Can you name these three players? Hint: One of those players played his entire career with the St. Louis Cardinals; one played his entire career with the Boston Red Sox; the third player played 17 years in the majors for five different teams. 3. There have been three walk-off home runs in All-Star Game history. Which three of these 10 players listed had an All-Star Game walk-off homer: Ted Williams, Robin Yount, Willie Mays, Johnny Callison, Stan Musial, Kirby Puckett, Fred Lynn, Babe Ruth, Mike Schmidt, Billy Williams. Answers at the end of this column. 1. California Angels outfielder Fred Lynn hit a third-inning grand slam in the 1983 MLB All-Star Game. Manny Trillo, Robin Yount and Rod Carew were on base when Lynn hit his homer. 2. Stan Musial has the most All-Star Game HRs with six. He is followed by Ted Williams and Fred Lynn, each with four. 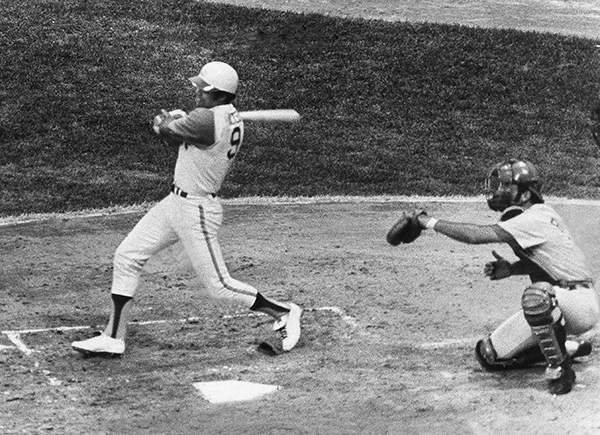 The seven players with three All-Star Game home runs are: Johnny Bench, Gary Carter, Rocky Colavito, Harmon Killebrew, Ralph Kiner, Willie Mays, Alfonso Soriano.